Spock: To hunt a species to extinction is not logical. Dr. Gillian Taylor: Whoever said the human race was logical? 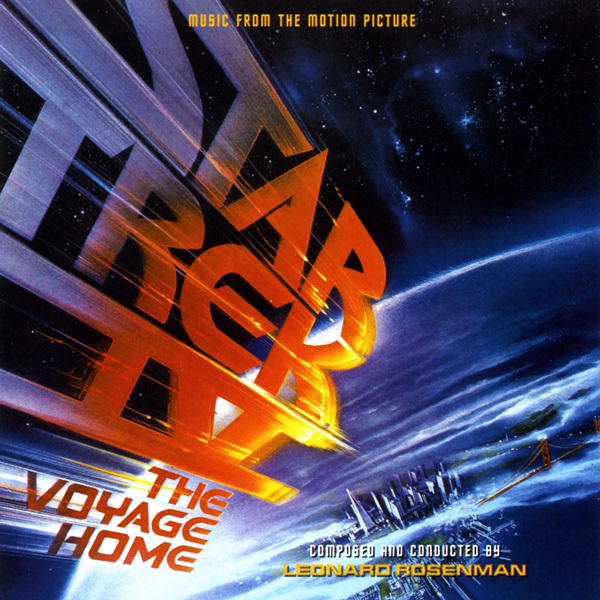 Star Trek IV: The Voyage Home was the last Star Trek film that Leonard Nemoy Directed. I absolutely love this movie, it gives me the warm fuzzy feelings that Star Trek can bring to a person. This concluded a three movie trilogy starting with Star Trek II The Wrath of Khan and carrying through to this movie. The music was composed by Leonard Rosenman. What is the Plot of Star Trek IV: The Voyage Home? Here you go…Living in exile on the planet Vulcan, the ragtag former crew of the USS Enterprise steal a starship after receiving a planetary distress call from Earth: a space probe has entered into orbit around Earth, disabled global power on the planet and evaporated the oceans. Captain Kirk (William Shatner), Spock (Leonard Nimoy) and the rest of the officers travel back in time to retrieve now-extinct humpback whales, which Spock has deduced will communicate with the probe and send it away from Earth. It was dedicated to the Challenger Crew who lost their lives leaving Earth to go to the Moon once again, this time with the biggest crew ever. It had a deep impact on everyone involved. You can find the soundtrack on Amazon in two links. Used and New. You can also find the soundtrack on ITunes. You don’t get the whole soundtrack on this format but its still digital and in good formats. Here are some clips from the score. Well that’s it this week, look forward to my post this coming week with The Jungle Book Animated and The Martian. Next Week The Three Amigos! Happy Listening! Next Next post: The Jungle Book: Disney Animated!